Over a one week period in early February, The New York Times, Twitter, and LinkedIn released their latest financial results. They were perhaps surprising to some: The iconic newspaper publisher surpassed Wall Street expectations while the two purely digital companies disappointed. What’s driving investor sentiment? Scratching below the surface, you’ll see that it’s all about audience. The Old Grey Lady gave a promising update on February 4 when it released its Q4 and 2015 annual results. From an audience perspective, the news media company is doing the right things. It grew its paying digital subscriber base by 53,000 readers. That’s the biggest quarterly gain in three years. It brings total NYT paid digital subscribership to just shy of 1.1 million. More than 50% of the newspaper’s revenue comes from consumers. This is a good story for those who believe that journalistic content is valuable and worth paying for. As an international brand, the Times has done a fine job marketing its product. The easy sign-up process and smooth navigation of the site, as well as the breadth and depth of its content, have made the Times the first and only digital newspaper subscription for many readers. It is not growing in leaps and bounds, but it is growing. And that’s a good sign for media companies. The company’s stock was up after its earnings release. The results surpassed analysts’ predictions. Twitter and LinkedIn did not fare so well. The tweeting company turns 10 years old in March. 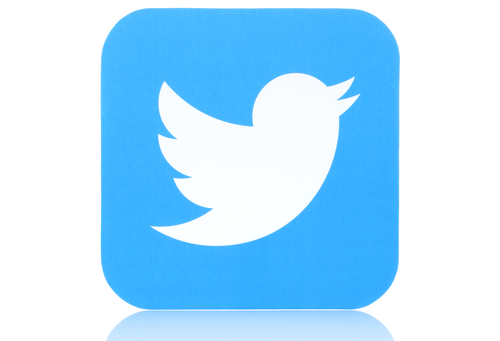 In its first decade, Twitter has built a massive online following. Measured as the combination of monthly average users and monthly logged-out visitors, the company boasted a total audience of 800 million in Q4 2015. The critical metric — monthly active users (MAU) — is stuck at 320 million. And since this critical metric is not growing, the stock price has been driven downward. Shares in Twitter have fallen 40% over the past three months. And so, as The New York Times fights to eke out subscriber gains measured in the tens of thousands, Twitter fights for user gains measured in the tens of millions. 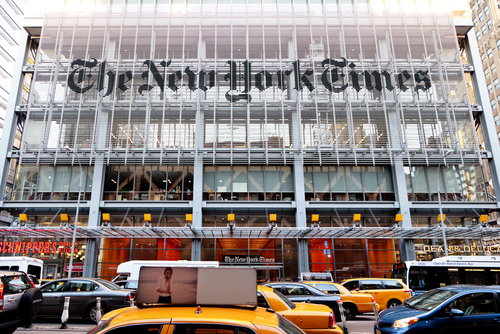 (To compare, NYT does have nearly 70 million unique monthly visitors, according to comScore). This highlights the stark difference between paid and free products. If you are going to be free, you had better be really, really big … and growing. 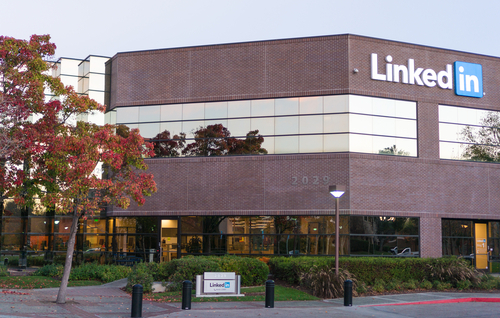 LinkedIn is facing a similar headwind. Though the company does have a consumer paid element, the majority of its revenue comes from advertising. Like Twitter, LinkedIn depends on its ability to draw a massive audience. And here, too, the company is struggling. Although LinkedIn has growing membership — more than 400 million members as of the end of 2015 — the number of members visiting the site monthly has remained flat. This metric, called monthly unique visiting members, was stuck at 100 million for the last two quarters. Of course, there are many factors that drive the daily gyrations of individual stock prices, and some of those factors are nonsensical. Markets are fickle. Nevertheless, audience matters. A paid audience is more valuable than a free audience (and, yes, both are better than no audience at all). If your audience is free, it needs to be extraordinarily big and growing. You can bet that LinkedIn and Twitter will be doing everything possible to re-engage audience growth. Both will be looking to add tens of millions of users. On the other hand, The New York Times would be pleased to add 50,000 net new paying subscribers each and every quarter. What a difference a payment makes. This article was originally featured on INMA.org.